Wait a minute! Does that say “community dock”? Why, yes it does! 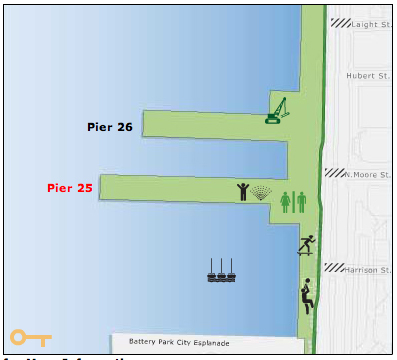 Pier 25 will have a real town dock. Karen and I were very excited to hear this news. We look forward to visiting the pier with Puffin next year, and we applaud the Hudson River Park Trust for giving recreational boaters a town dock in lower Manhattan.